Both sets of my grandparents immigrated to Canada in the late 1940s, after World War II destroyed much of central Italy. The concept I am introducing of "Middle Stock" is meant to distinguish and provide much needed nuance to those European immigrants who came before the 1967 change to the immigration policy, like my grandparents, whose descendants do not necessarily feel themselves to be either "Old Stock," representing the founding nations of the English and French, nor as being represented or belonging to the mostly non-European "New Stock" who arrived mostly after the change in the nation's immigration system. My contention is that this psychological dimension can be suitably applied to the idea of Middle Stock Canadians. While the Old Stock are assured of their place as "founding nations," codified in the British North America Act, and the New Stock is babied by an aggressive assertion of the values of multiculturalism and policies like minority hiring practices in both private and public sector, as well as an over representation in the news media, the Middle Stock, like the middle child in a family, is left marginalized and neglected by the parent. Unlike New Stock Canadians, Middle Stock often faced explicitly hostile forms of discrimination. The road for Italian Middle Stock specifically was especially harsh, in so far as "the southern Italians, by virtue of their darker skin colouring, were at times virtually ascribed the status of a visible minority," without any of the contemporary benefits of such stigmatization. When the time for addressing historical grievances finally arrived, the "Ethnic Quotient" was transformed to a racial one and "White ethnics" who had real historical grievances of exploitation and discrimination, were sidelined and assimilated into the same camp as their past Anglo exploiters in favor mostly of hypothetical future disadvantages of newly arriving immigrant groups with no historical beef with the nation. In effect, Canada was implementing a policy which treated immigrant groups with no or little historical connection to the nation or Western Civilization more favorably than Middle Stock groups who paid the high cost of assimilation. This may be an example of what Charles Dickens called "telescopic philanthropy." Thus, the subsequent Employment Equity Act of 1986, which would improve employment opportunity for immigrant non-Whites, left out Southern, Eastern and other Middle Stock Europeans, despite the real and historical disadvantages, discrimination and sacrifices they actually tackled, in favor of mostly hypothetical future disadvantages encountered by New Stock Canadians, who had zero or very little connection to the nation. In the 1986 census, Statistics Canada operationalized membership in a visible minority to include respondents who chose any one of ten origins in the 'ethnic origin' question: Black, Indo-Pakistani, Chinese, Korean, Japanese, South East Asian, Filipino, Other Pacific Islanders, West Asian and Arab, and Latin American, excluding, Argentinean and Chilean (source, p. 5). The conflation of Italians and other Middle Stock with a hegemonic "White categorization" systematically denied historical realities and grossly misrepresents the complex group affiliations of members of these groups. 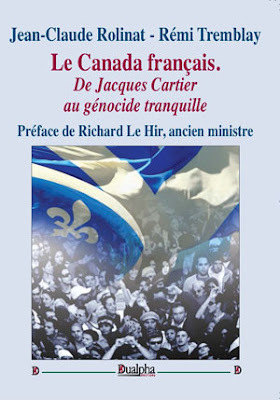 Subsequently, this problematic "middle position" more specific to Southern Europeans, between often being a "visible minority," but not experiencing the systemic benefits of this marginality conflated with the actual reality of the type of hard labour and discrimination they engaged in, means that their legacy in Canada is one of historic and on-going discrimination, sandwiched between both the Old and New Stock forms of systematic oppression. "The Italian Fallen Workers' Memorial" project have documented more than 770 names to date of Italian immigrants who died on the job. 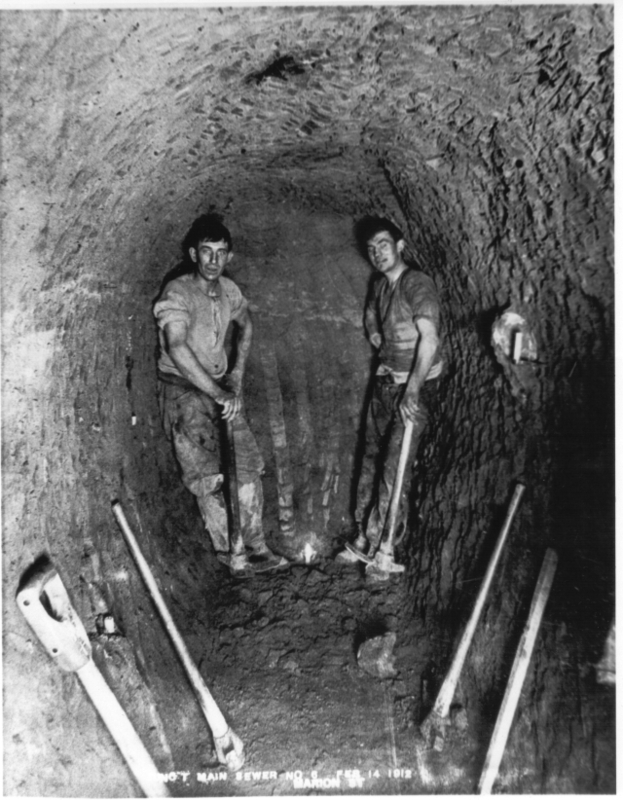 Italian immigrants first arrived in Canada in large numbers in the late 19th century to work in mining, railway construction and other hazardous sectors. Following World War II, 500,000 more arrived to help fuel Canada's post-war economic boom. This generation of immigrants found similar work as well as jobs in the growing construction industry as labourers and artisans (source). 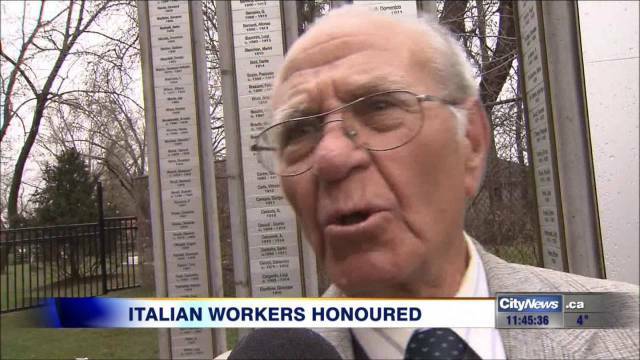 This list of 770 dead is only partially representative of the Italian victims of work related accidents, limited to the province of Ontario and complied largely by individual effort of Marino Toppan without assistance of the Ministry of Labour or the Compensation Board because of the Privacy Act. Because of the history of ruthless exploitation of Italian and other Middle Stock labourers, interventionist social policies such as the Equity Employment Act, that discriminates against the posterity of such groups who were historically exploited and discriminated against, at times making the ultimate sacrifices for the building of the nation, even fighting and dying against their own ethnic nation during WWII in some cases, constitutes a continued legacy of discrimination against Middle Stock Canadians. There are also marked differences between earlier waves of European immigration constituting Middle Stock compared to newer waves constituting non-European New Stock. The major difference beyond place of origin is the changes in the economy brought about by globalization within that time span. Specifically, the economy during Middle Stock waves of immigration was prospering, Canada was experiencing a post-war economic boom and immigrants were largely expected to perform specific difficult labour tasks that contributed to the economic expansion. In stark contrast, immigrants today are coming at a time when the West is shrinking economically in relative terms to the ascendancy of the rest of the world, effectively creating a situation in which competition for jobs, especially good jobs, is fierce. During this time frame, the justifications for immigration has changed from one of fulfilling specific labour needs to one of justification on the basis of itself (immigration for immigration's sake usually justified as a "human right") rather than an actual societal need. The one statistic that is often offered as the raison d'etre for mass immigration is an aging population and declining birth rates; however, in a people concerned with their own self-preservation, possessing a healthy mentality and will to live, this should raise alarms regarding ethno and racial collective suicide and replacement — rather than going gently into that night. Not only has the prosperity of the West and the Anglosphere precipitously diminished in relative terms but also the nature of the economy has itself changed. From one of production (goods-producing) oriented to one of service based industries. Gradually, the manufacturing jobs that were the economic backbone of cities in the industrial north would be replaced by service industry jobs where not even two wage earners could support a family (source). This change has been a gradual process; in 1911 about 66% of the working population was employed in the goods-producing sector and 33% in the service industry; by 1987 the ratios were reversed. According to a 1989 study conducted by the Fraser Institute, these numbers are a bit off, with 70% of the working population producing services as early as 1981. In effect, the initial growth of service industries was as ancillaries to goods-producing industries, the negative implications of a service industry based economy is going to be catastrophic in the long run. 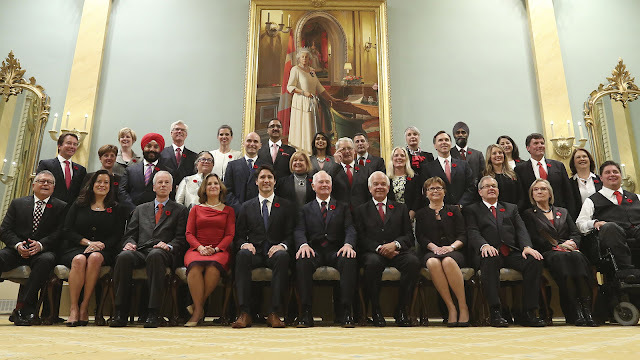 This unprecedented form of reverse discrimination compounded by the actual discrimination faced by White ethnic Middle Stock Canadians makes the absurdity of special programs like Employment Equity that much more sickening, as lower middle class White ethnics and their children would also have to foot the bill in the social costs of increased and favorable competition for their livelihoods to outside groups. These non-White economic migrants who are favored then enjoy the benefits of wages that White ethnic trade unions fought to secure. The reality is that the nation was neither created nor sustained nor built on a foundation of peoples of diverse racial backgrounds but rather of different European groups, many of whom, the Irish and the PIGS, were ruthlessly exploited economically by a ruling class in cities that "were militantly anti-labor and instinctively repressive to the immigrants who were the basis of their wealth in the city" (E. M. Jones, The Slaughter of Cities: Urban Renewal as Ethnic Cleansing, St. Augustine's Press, 2004). Thus the overwhelmingly vast majority of those who currently benefit from the employment equity programs have no legitimate historical grievances or connection with the nation. The contemporary immigration for immigration's sake mentality is occurring due to a lack of self-preservation, nativist, nationalist, and racial sentiment, which for various reasons have been vilified as unpopular, marginal, parochial, narrow-minded, xenophobic, bigoted and perhaps the most pernicious contention is that holding these attitudes and opinions were not only unfashionable but against the tide of historical progress itself. Something is seriously amiss while countries such as China and India are growing exponentially economically, the West is rolling out the welcome mat for immigrants from these same countries and giving them and their children priority in ours. Trudeau's cabinet lauded for its "diversity" has only one member who may be considered Middle Stock, Patty Hajdu, who appears to be of Hungarian background. This compared to 25 Old Stock, and six New Stock. Clearly Middle Stock syndrome reflects a real neglect from the parent.